Legendary graffiti artist Shepard Fairey is currently wanted by Detroit police for work he recently did in the beleaguered city’s downtown core. Fairey, probably most famous for his OBEY and Andre the Giant graffiti in the eighties and of course the iconic HOPE poster from President Obama’s 2008 campaign, was in town to paint the largest legal mural he had ever undertaken. Apparently the Detroit Police Department, famously underworked in the currently booming metropolis of financially stable Detroit, is coming after Fairey for his “extra-curricular” activity. 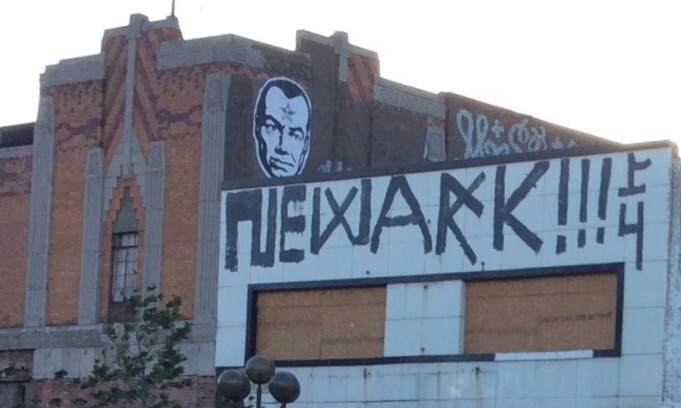 Detroit police are currently investigating Fairey’s alleged crimes, including two counts of malicious destruction of property, for graffiti that has appeared in downtown Detroit since Fairey arrived in the city. The crimes aren’t too severe, but can lead to jail time and hefty fines, so Fairey is going to have to lawyer up to defend the charges. Of course, for an artist as famous as Fairey, he could make a couple of unique arguments about his various alleged graffiti activity around town, including the fact a bonafide Fairey original on any piece of property is actually a way to increase a property’s value, not devalue it, as the law requires, and that could lead to some problems on the Detroit police’s side of the case. But either way, Fairey’s original mural is now proudly being displayed in downtown Detroit, and that has many different people taking note, and either complaining or complimenting the artist’s contribution to the city skyline. Many legal experts have weighed in on Fairey’s current prediciment and, besides having to assess the devaluing of properties to make the case, the Detroit police will also need to prove it was Fairey, and not someone else, who did indeed do the graffiti they’re mentioning. And in a city with a myriad of closures and resource scarcity, and many other things they could be focusing on, retroactively proving a specific person did certain graffiti will be almost impossible. Fairey may never even have to take the stand.